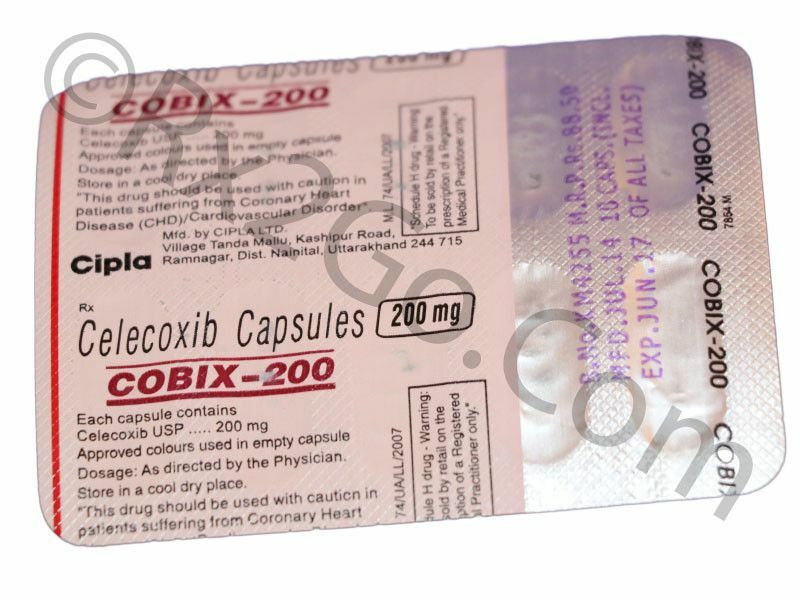 Celecoxib is also prescribed by doctors for the relief of short term (less than 7 days) pain due to surgery, injuries and other medical and dental procedures. It prevents the formation and the reduction of polyps size of patients with familial adenomatous polyposis (FAP). It helps relief acute pain due to primary dysmenorrhea or menstrual cramps. Celecoxib works by blocking the enzyme that produces prostaglandin. This enzyme is responsible for the inflammation, pain and swelling. Compared with other NSAID drug, Celecoxib causes less ulceration of the stomach and less inflammation. It does not cause the blood to clot. However, this drug can only treat the symptoms. It will not cure the underlying conditions. Celecoxib comes in a tablet form that you need to take orally. Take this drug exactly as directed. Menstrual cramps- a single dose of 400mg on the first day followed by 200 mg if needed. Moderate to severe pain- the dose is 400mg on the first day followed by 200mg once a day. Take Celecoxib with or without food. Do not take more than what is recommended. Celecoxib can cause a decrease in the blood counts. Tell your doctor if you have blood-related medical conditions. Celecoxib is an NSAID that can cause fertility problems. This medication may interact with other drugs. Tell your doctor if you are taking any other medications including vitamin and herbal supplements. NSAID drug can reduce blood pressure.